Ashkenazy Acquisition and the Gindi family, owner of discount department store chain Century 21, jointly acquired a seven story office building on the Upper West Side for $20 million in an off market deal, according to property records filed with the city today. The 20,800 square foot building at 2067 Broadway, near West 72nd Street, is fully occupied except two small office spaces, said Daniel Levy, a partner at Ashkenazy. Tenants at the property include fast casual restaurant chain Gigi Café and EPIC Security, a provider of uniformed guards at apartment complexes. “We believe this will be another longterm holding for us,” Levy told The Real Deal. The New Rochelle, N.Y.based seller, Gary Strutin, said he has owned the building for more than 20 years. His acquisitions are largely in Westchester County, and 2067 Broadway was his sole New York City building. Strutin, whose 1970s startup Plastic Works grew into a multimillion dollar company, said he has no plans to buy more properties in the city. Brokers did not represent either side in the transaction. Law firm Kriss and Feuerstein LLP represented the buyers as legal counsel. In January, Ashkenazy signed a 20 year deal with Bernard Spitzer for the master lease of 200 Central Park South for $18 million, as previously reported. 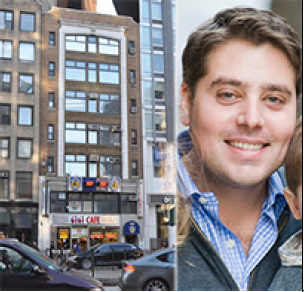 The Gindi family, who could not be immediately reached for comment, sold off a six story, castiron building 287 Broadway in Tribeca for $8 million in November, as The Real Deal reported.